We found the book to be easy to read. Hazel and I alternated reading a page and she did fine with all the words. The text and story are simple, but the illustrations are beautiful and it has a very nice message. The book is perfect for toddler and preschool age as well as emerging readers since they will be able to read the book as well. Throughout the day the mother elephant plays with and takes care of her baby. 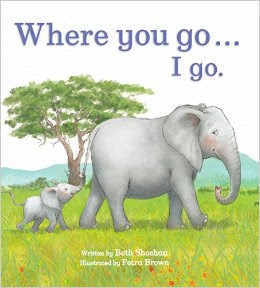 The baby elephant tells his mother he loves her and will go wherever she goes and does what she does. One of Hazel's favorite parts is when the baby holds a stick in his trunk and pretends he is a tree. 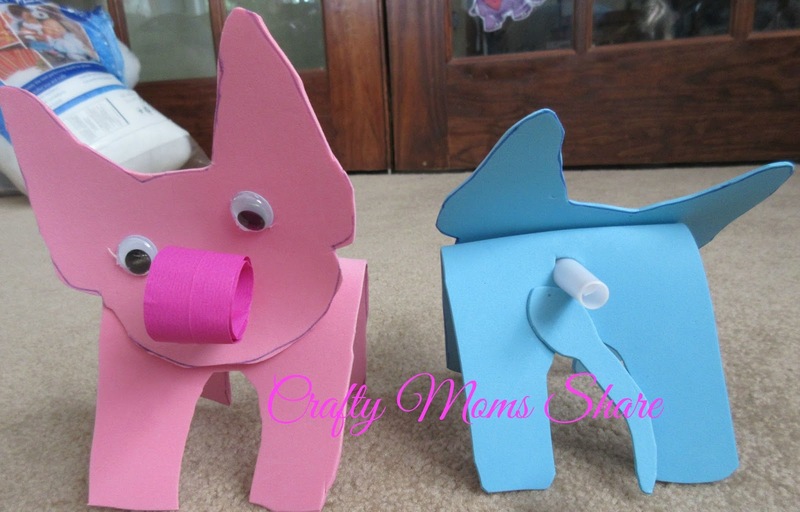 To go with this book we made party blower elephants. We used the template at Simply Home Blog: E is for Elephant Party Blower Craft. I found some simple party blowers on clearance at Michaels the other day. Hazel decided she would do a pink one and I got a purple blower. Hazel apparently has been using our craft foam since our numbers and choices were down, but I found some pink and blue foam to use in our drawer. I am thinking of making these for the Wild Kratts party as well. 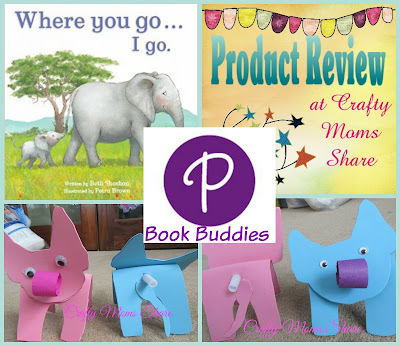 We also shared many elephant crafts when we reviewed Grandma Elephant's In Charge by Martin Jenkins. Hazel enjoyed using the party blowers. 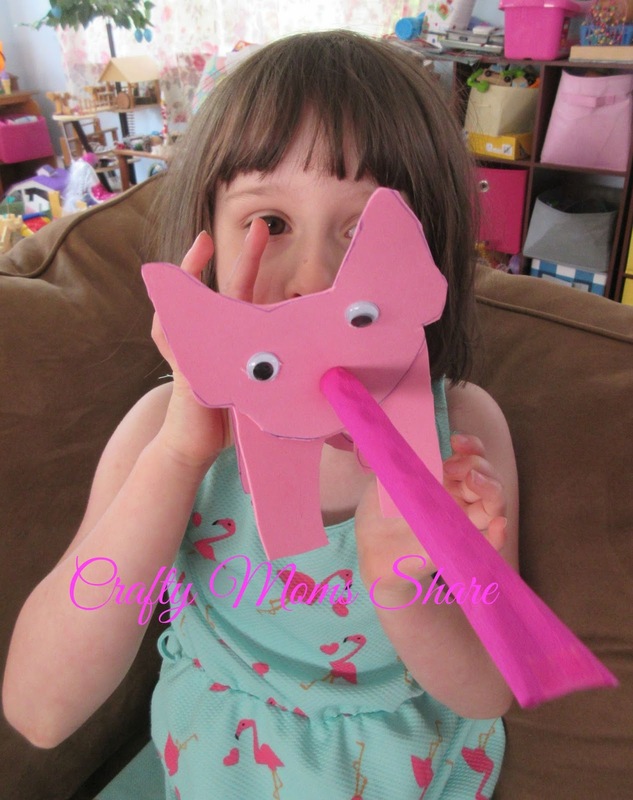 She demonstrated so you could see the elephant's trunk. 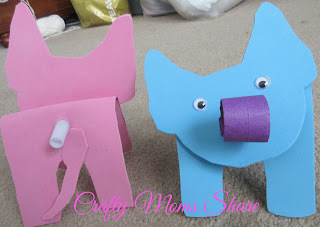 Needless to say it is a fun craft to go with the book. The book is a great book for younger kids and has beautiful pictures. We really enjoyed it!